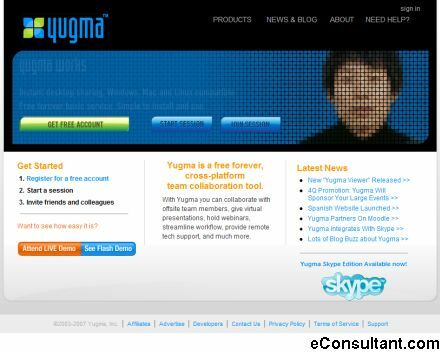 Description : Yugma is a free web conferencing service that enables people to instantly connect over the Internet and to collaborate using any application or software, using both Windows and Mac. Online collaboration is great solution for businesses that need to share information with their employees and clients, regardless if they are located in another building, state or even another country. Yugma offers those companies an opportunity to bring people together in real time and on demand.